What on Earth is catalytic questioning? My only exposure to the word "catalytic" was as a kid, when my dad (who used to work at Ford Motor Co.) would talk cars at the dinner table. 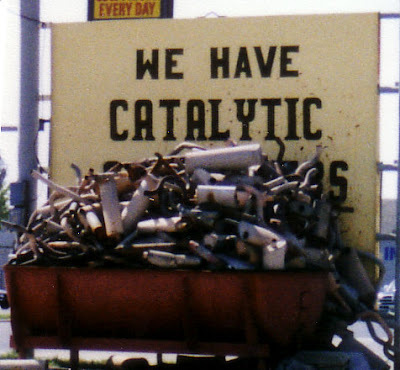 Have you ever heard of a catalytic converter? It is typically part of a car's exhaust system; it's an emissions control device that turns toxic gases into less-toxic pollutants. What are you talking about, Annette? How does that relate to customer experience? Or anything else you ever write about? I'll get there. I promise! I recently learned about Hal Gregersen and a concept he developed called catalytic questioning. In a nutshell, it's a five-step system he created to get people to think differently. It's an alternative to brainstorming. Of course, "catalytic" is really something that is a catalyst. Ergo, catalytic questioning is looking for those catalyst questions, those questions that are the basis of disrupting - or that help you to disrupt - the status quo. Leverage the answers to find better solutions, and use the process over and over again to get deeper insights. Check out this video for an explanation, in Hal Gregersen's own words, of this concept. Gregersen has said that the goal is to search for the right question, the one that might be surprising, the one that makes us uncomfortable, the one that might cause us to get some better data - to ultimately disrupt and do things differently. Which questions will drive you to collect primary data, to hopefully solve the problem if you went out and collected data? Additionally, the goal is to see the problem differently just by asking questions. This alone rarely gives us the answer but often points us in a different direction, causing us to disrupt not only the category but also our own thinking. 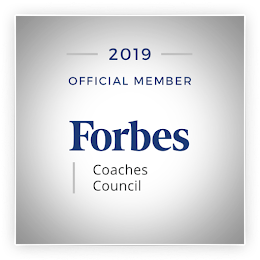 As you think about your customer experience strategy and improvement efforts or your culture transformation, what problems are you encountering? How are you solving them? Are your current problem-solving methods working? Are you looking for a different/better approach to identifying solutions? Could you leverage catalytic questions to get unstuck from an issue or challenge that you can't seem to resolve?